This is a collection of projects studying color palettes and shadow plotting of geometric forms. 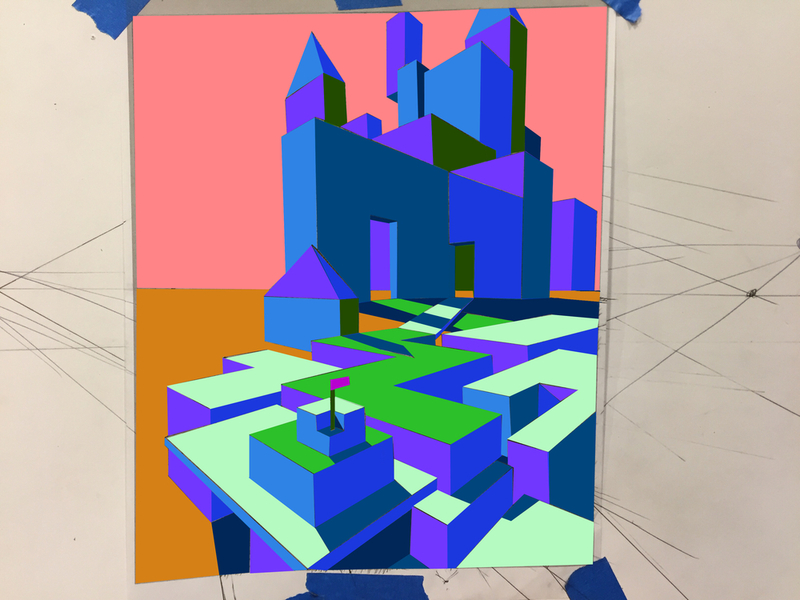 Each painting started as a "Gamescape," or a collection of geometric shapes that could resemble a level in a game. From there, I manually plotted shadows based on a chosen horizon line and light source. After shadow plotting, I chose the "local colors" of all objects in the scene. Local colors, being the default color that the objects would be under white light. After local colors were established, two additional paintings were done of the same local colored scene in a warmer and cooler light. I did digital mockups to help plan out what colors I would be using before actually putting paint to paper.